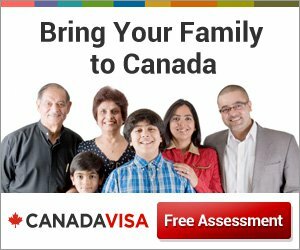 The Parents and Grandparents Program (PGP) for immigration to Canada operates according to an Expression of Interest / Invitation to Apply system. Have you received a PGP invitation? We can help you! Email us at pgp@canadavisa.com to learn about the next steps regarding your application. Under Canada's Parents and Grandparents Program (PGP) expression of interest system, potential sponsors must first complete and submit the 'Interest to Sponsor' form online once it becomes available. IRCC will issue invitations to apply to the PGP to eligible potential sponsors in the order Interest to Sponsor forms were received until the 2019 cap of 20,000 complete applications is met. Potential sponsors who receive an invitation to submit an application have 60 days (from the date of the invitation) to submit a complete application, including supporting documents and fees. Supporting documents include income tax records, documents relating to civil status, and other material. Given this short application window, it is highly recommended that all interested sponsors prepare the supporting documents in advance of receiving an invitation to apply. If an interested sponsor receives an invitation to apply to the PGP, they must complete a number of forms. It is crucial that applicants complete all forms honestly and meticulously. Any errors could lead to an application being refused. A complete application package includes completed forms and all supporting documents. Note: The 2019 Interest to Sponsor form was available briefly to potential sponsors on January 28, 2019. The Interest to Sponsor form itself is not an application form; rather, it allows IRCC to gather the contact details and personal information of Canadian citizens and permanent residents who wish to sponsor a family member. Interested sponsors also have to confirm that they meet the eligibility requirements for the PGP. During application processing, IRCC will ask persons being sponsored to provide information, such as their biometrics fee, medical exams, police certificates or any other documents that are required. The processing time for complete PGP applications that are submitted on time is set to 20 to 24 months. If you receive an invitation to apply to the PGP, you can email pgp@canadavisa.com to learn about the next steps regarding your application.